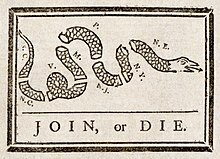 Patrick Henry Was Unreasonable, Too: Fight FISA “Compromise” on the Fourth of July! That is what the Congress proposes to give away next week, by saying telcos like AT&T and Verizon can spy on you as long as they have a note from the president saying it’s OK. This entry was posted in Corruption, Distributed Participation, Espionage, Government, Internet freedom, Politics, Wiretapping and tagged Barack Obama, FISA, Fourth Amendment, Fourth of July, Fred Hiatt, George Bush, Glenn Greenwald, liberty, Patrick Henry on July 4, 2008 by John S. Quarterman.